Note: Yes, I am back from the wonderful world of San Diego! Let me know what I missed while I was gone. 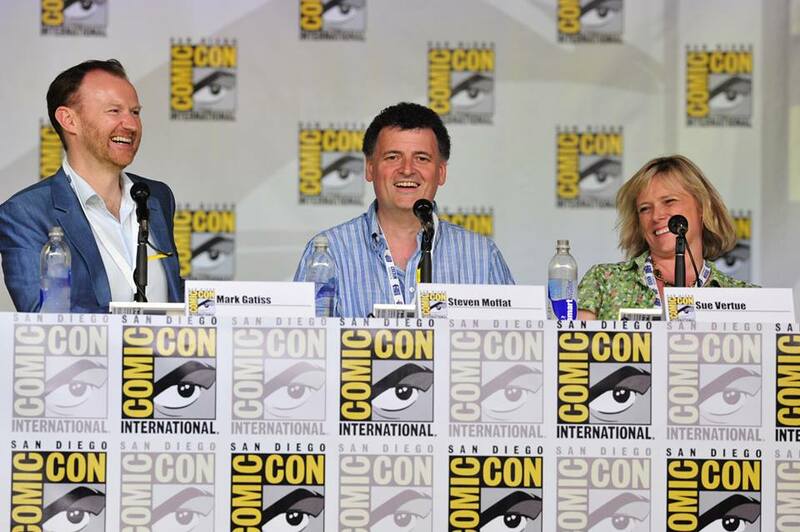 One of the highlights of Comic Con International this year was the first ever panel for super popular mystery series Sherlock – in what, incidentally, was also PBS’s first appearance at the forty-some-year-old convention. The Sherlock panel was – next to perhaps only the 20th anniversary celebration for The X-Files – the convention’s most popular panel that Thursday, with many fans reporting that they camped out for twelve hours or more for a chance to be in the room and see this event. Sadly, neither of the series’ stars could be present in San Diego to greet their adoring public, but both Benedict Cumberbatch and Martin Freeman sent along video messages for the fans in attendance. If you take nothing else from this post, watch this video, because these clips are both adorable and fantastic. Not to be outdone across the pond, however, BBC One also dropped a bombshell of their own - revealing the title of the final episode of Sherlock Series 3 during a rebroadcast of Series 2. The final installment of this season will be called His Last Vow, in an obvious play on the Sir Arthur Conan Doyle title His Last Bow. (“Bow” was one of Moffat three early Series 3 teasers as well.) Story details about the finale are vaguer than vague: filming begins on July 29, the episode will be written by Moffat and directed by Nick Hurran. Moffat has repeatedly promised a cliffhanger to rival Series 2’s Reichenbach Fall, so let’s just all start preparing ourselves for that emotional devastation now, shall we? The return date for Sherlock Series 3 is still unknown, but is assumed to be in the latter half of 2013 for UK viewers and 2014 for the US. We’ll keep you posted. Are you excited for the new episodes?